Winter can be chilly business. Aside from living in the cold for the best part of four months, dragging the duvet to the couch and wearing at least four layers when braving the outside, winter wreaks havoc on our skin and hair and has the potential lower our immune systems. In light of that, it’s all the more important that we take extra care of ourselves this time of year. Facing the dark mornings and the cold temperatures requires a new kind of ballsiness, which can be all the harder to muster up when we’re not replenishing our energy levels or going out of our way to make life easier. I recently offered some tips I use for staying healthy in the winter time. But what about feeling our best on the outside too? Dry skin and dry hair are something that plagues many once winter hits, I myself being certainly no exception. But it’s not all bad, as with the right products and helpers, we can be better prepared to combat the disastrous effects of the cold and stay feeling nourished and happy. I wanted to share my must-have products with you guys so that you too, can ensure you have everything in your bathroom to survive the season. 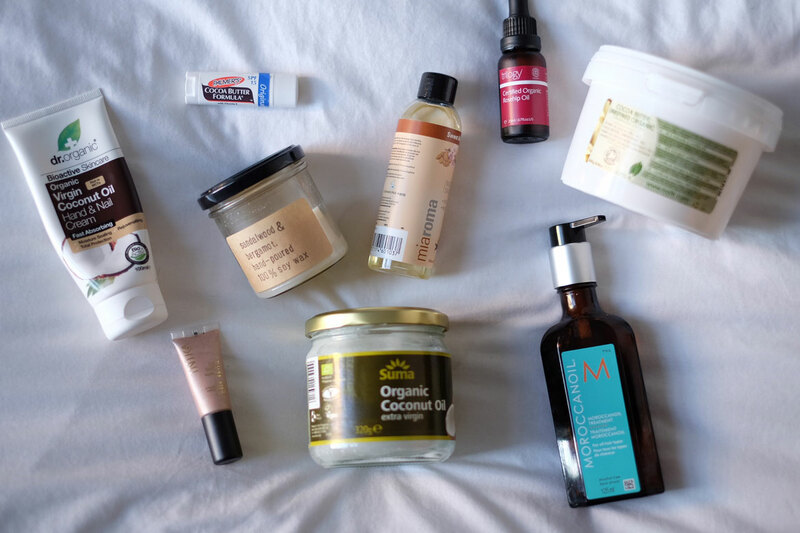 Here it is – my essential winter beauty survival kit! Duh, of course this was going to be on the list! Coconut oil is made from the flesh of the coconut, and is known for its high level of medium-chain fatty acids or triglycerides. Because of these, it’s able to penetrate the layers of your skin to a deeper level, making it an amazing moisturiser. It also contains lots of antibacterial and anti-fungal properties too, meaning it can be used topically on chapped skin. Smooth onto the body after showering or bathing; melt some into a bath for a wonderfully nourishing bath soak, or use it to create your own homemade body butter. 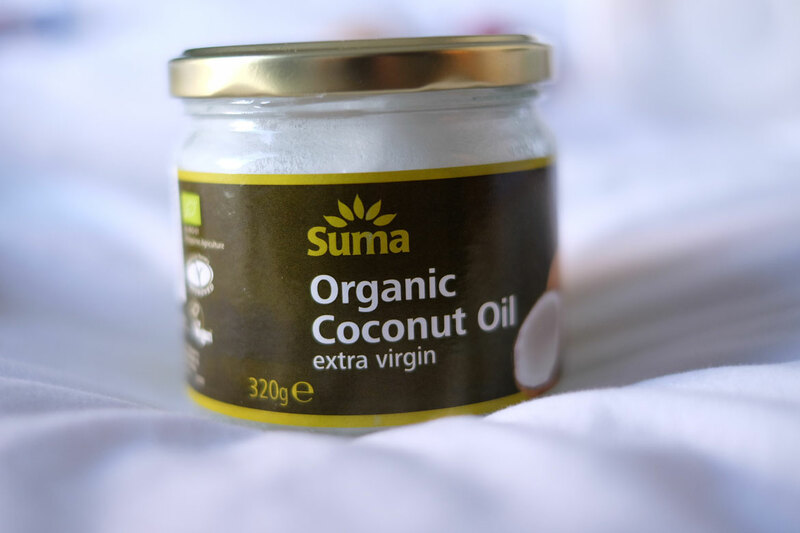 Coconut oil also makes a marvellous hair mask – useful for battling against dried-out locks in winter. Smooth some onto the ends of your hair before you go to sleep and simply wash out the next morning. For those interested, I buy Suma brand, and The Groovy Food Company is also good too. Cocoa butter has long been used for its skin nourishing properties in places like Mesoamerica and the Caribbean for decades. Hailing from the cocoa bean, it’s the natural fat that’s used to make chocolate and can be found in a wide array of commercial skincare products. 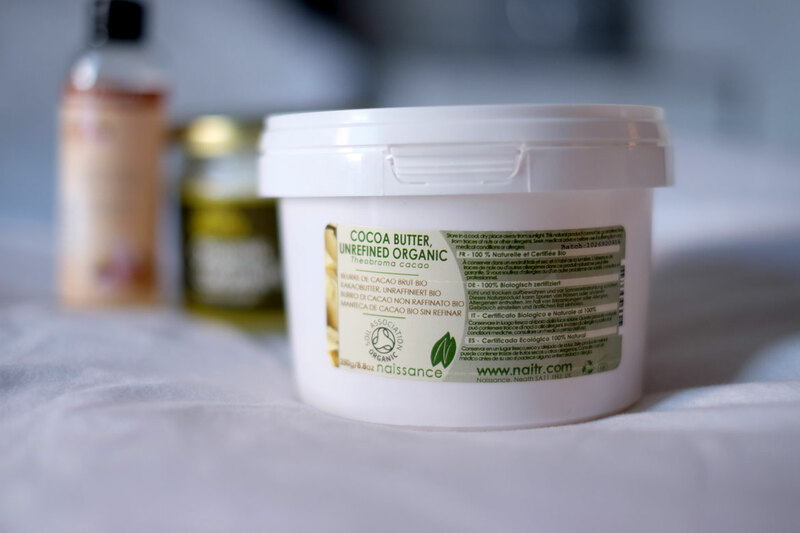 I prefer to keep a tub of raw cocoa butter in my cupboard and use it to make my own moisturisers and body butters, as many brands run the butter through heavy processing thus damaging its powerful properties. Like coconut oil, cocoa butter is also high in fatty acids. When used on the skin, it has the ability to heal, soothe and strengthen, as well as reduce inflammation. I use it to make my own homemade body butter but it can also be used in the kitchen – to make raw chocolate or in desserts and puddings! I currently buy my cocoa butter from Naissance, who actually do a whole range of plant-based butters including shea and mango. I’ve been using rosehip oil on my face for about nine months now and I have to say, this is a little dream of a product. 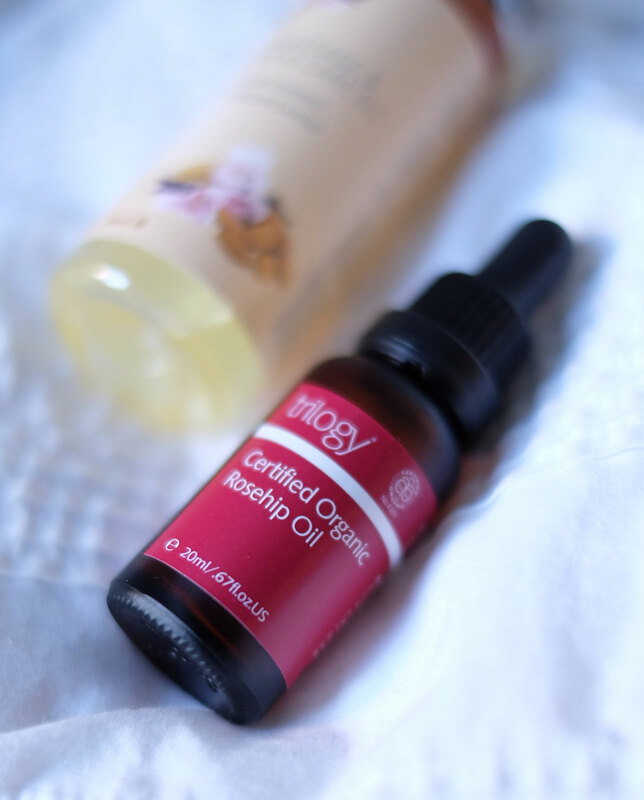 While it might sound weird to use oil directly on one’s face, rosehip oil is what is known as a ‘dry oil’, meaning it’s absorbed into the skin quickly and helps prevent your skin from overcompensating with its own oil. Over time, this can help to reduce the oiliness of your face. Because it’s so richly moisturising (without being greasy), rosehip oil is often used in anti-aging products or products for very dry skin. For me though, I use it for its other amazing abilities – to brighten skin, even skin tone, and protect and repair. Rosehip can be used all over the body and could even be infused into a bath for the most amazing skin treat. As its very concentrated, you only need a little. 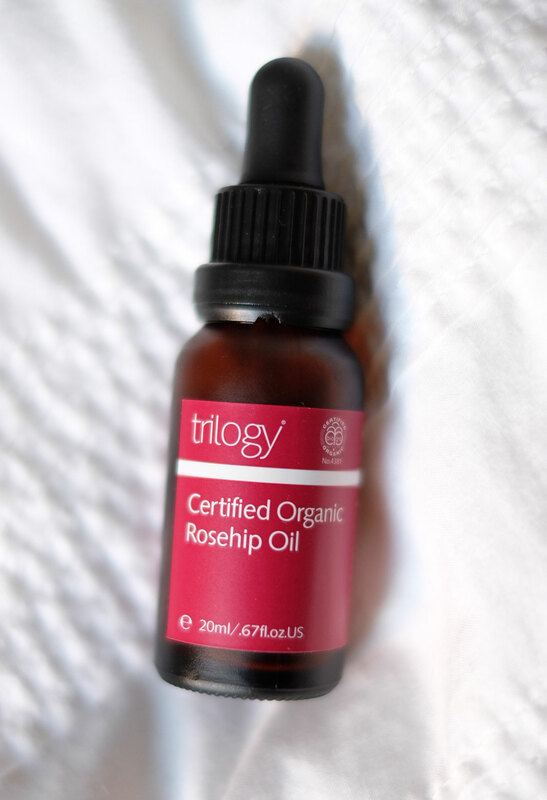 I like to apply 2-3 drops of Trilogy rosehip oil to my face morning and night. It also happens to make a great primer for make-up. 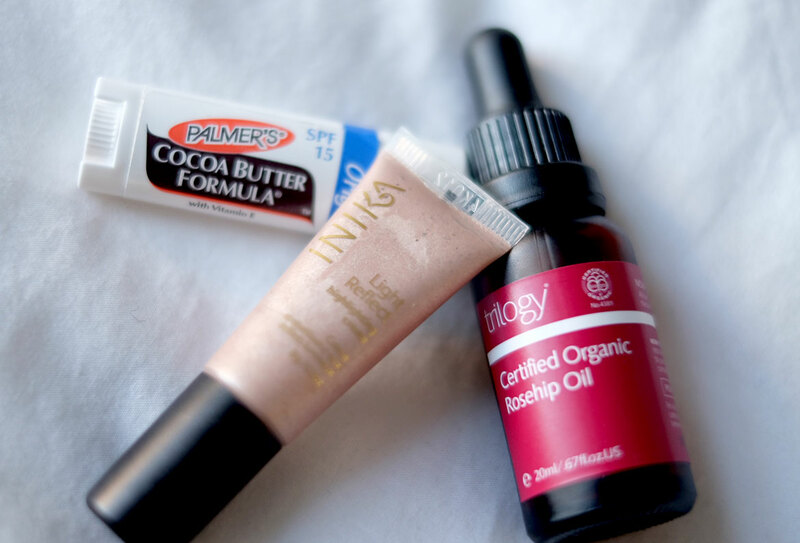 On a general day-to-day basis, I use just a simple base oil for moisturising. My ultimate go-to is almond oil – i just love it for its versatility, neutral scent, and hugely moisturising and protecting properties. It’s also high in vitamin E, an essential nutrient for healthy skin, and it’s fantastic as a natural shaving oil. My favourite brand is Miaroma. Urgh, is there anyone who DOESN’T suffer from dry hands in the winter??! It’s something that’s definitely the bane of my life this time of year, for sure. 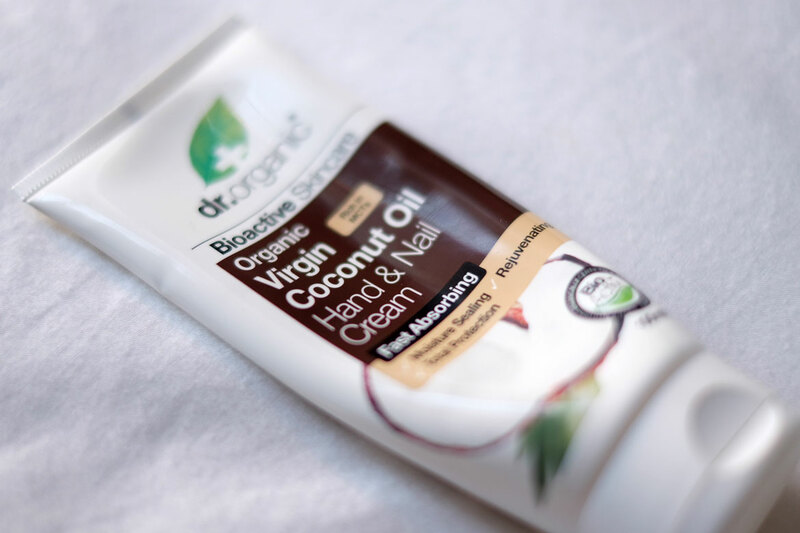 I like to have a tube of hand cream in my bag at all times, and I choose Dr Organic’s coconut hand & nail cream. All of their products are natural and free of harmful chemicals, minerals, preservatives and GM ingredients. They’re also certified vegan and cruelty-free! What’s not to love? I’ve tried a few hand creams from the Dr Organic range, but the coconut one is definitely my favourite. 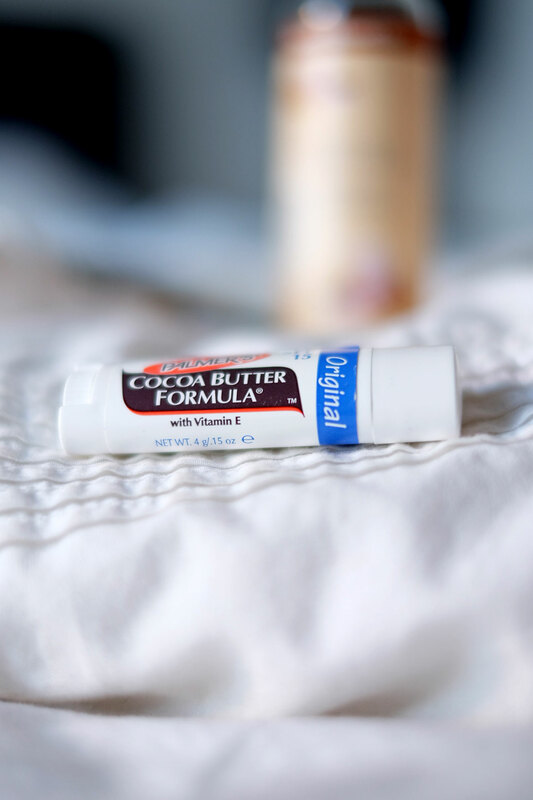 Although they may not be the most ‘natural’ of brands, I have to say I do adore Palmer’s cocoa butter lip balm as a budget-friendly solution to my chapped lip woes. Available in almost any chemist’s or supermarket, this lip balm has always drastically improved any dryness within just a day or so of applying, and I try to apply it regularly throughout the day to keep lips soft and supple. The Palmer’s lip balm is certified vegan and is itself cruelty-free. However, the verdict is still very much out on whether Palmer’s as a whole is an entirely cruelty-free company, so I’m currently looking to replace it with a more honest alternative. 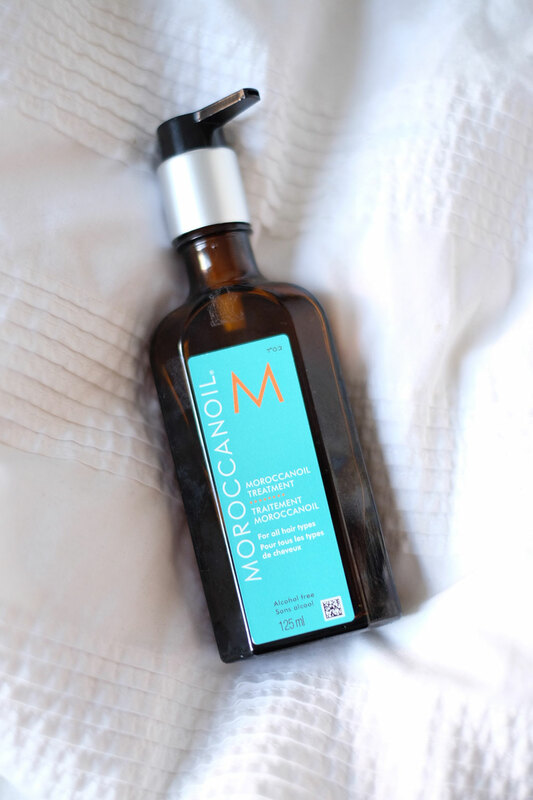 Morroccanoil has long been a staple in my beauty routine. Having discovered it a few years ago, I’ve been applying 1-2 pumps of the stuff onto my wet hair after every shower. For dry, wavy hair like my own, it really is a gem at relaxing the strands, protecting against damage and setting you on the way to softer, more manageable hair. In winter, its an absolute bathroom must-have. However, though Morroccanoil markets itself as a cruelty-free company it doesn’t confirm that its fully vegan, as apparently some of its hair products “may contain traces of eggs or dairy”. I’ve looked at the ingredient list for the Morroccanoil hair oil and can’t see any offenders, but I should say here that I’m going to be replacing Morroccanoil with pure argan oil instead, once my current bottle runs out. With the struggle to retain a bright, vibrant, dewy complexion in the winter, sometimes we need a little extra help! 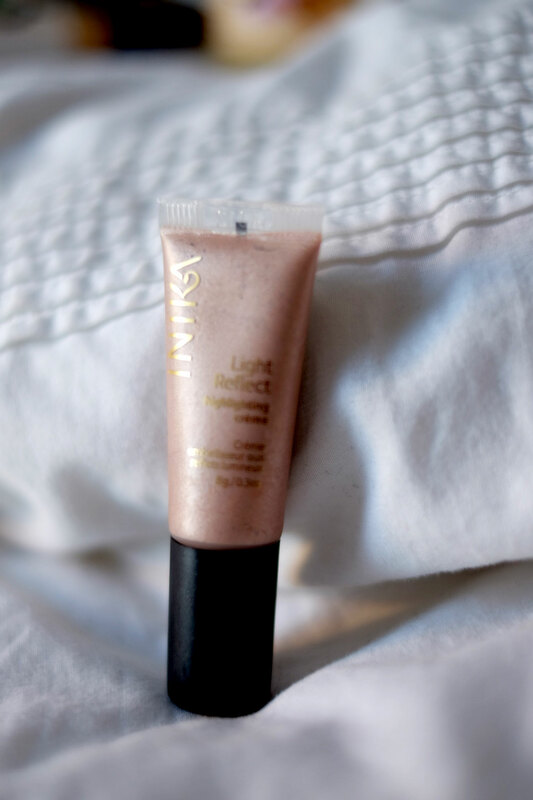 One new product I’m loving at the moment is this face highlighting cream from Inika. It’s a new addition to my make-up bag and I couldn’t be happier that I bought it! Suitable for all skin tones, it uses mineral pigments to create a pleasant satiny glow across the skin, and like the rest of the Inika range, is completely vegan, organic and cruelty free. Apple the highlighter on cheekbones, brow bones, forehead, bridge of nose, chin and even above your top lip to instantly look brightened and rejuvenated…even when you may not feel like it! Finally…we all need a lovely scent or comforting aroma to welcome us home on a chilly day. 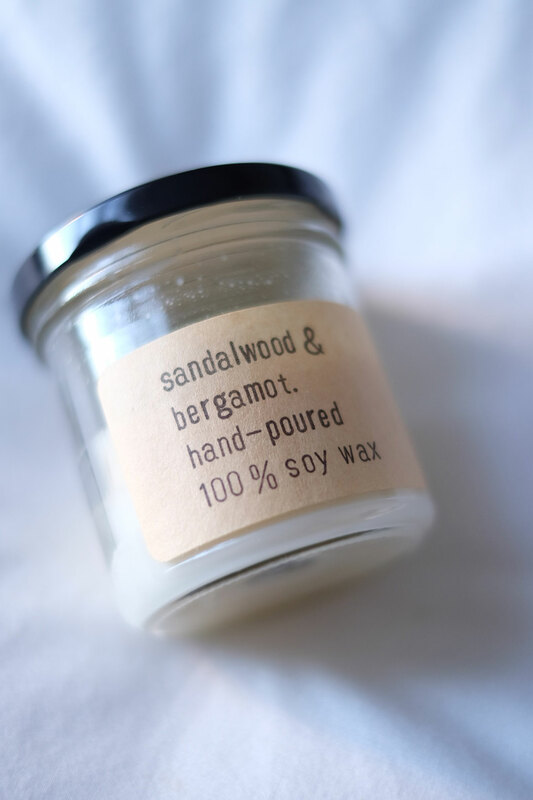 For me it’s currently this adorable sandalwood & bergamot soy candle from Fig & Sparrow. 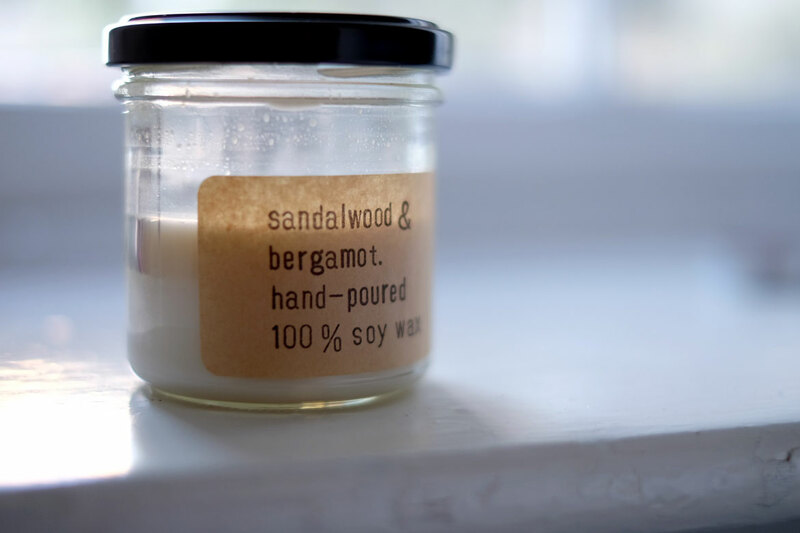 One of my favourite little eateries in Manchester, the gang also make delightful little candles and soaps, as well as vases, ceramics, ornaments, crockery and other homeware items. Go check out their online shop for some goodies, or stop by for a bite next time you’re wandering through Oldham St.